The time of greatest risk of chikungunya virus transmission from a mother to a fetus appears to be during birth, if the mother acquired the disease days before delivery and carries the virus, according to the Perinatal Network of Réunion. This network of physicians and researchers on the French island of Le Réunion has published a wealth of data on chikungunya infection during pregnancy since the epidemic began in March 2005. Preliminary data showed that such a contamination is “rarely serious” and more than 90 percent of the infected newborns recovered quickly without sequelae. Health authorities in Le RÃ©union, off East Africa, have been urging women who are nine-month pregnant and show symptoms of chikungunya infection to be be hospitalized. According to a pamphlet edited by Dr. Marc Gabriele and Dr. Alby Jean Dominique of the Perinatal Network, they have seen cases of mother-to-fetus infection which occurred between 3 and 4.5 months into pregnancy. Before and after that period in pregnancy, they have not seen any infection. However, there is a 48 percent risk of infection at birth if the virus is still present in the mother’s blood. The incubation period of the chikungunya virus is about 2 to 4 days, according to the Regional Department of Health and Social Affairs of Le Réunion. Immunoglobulin M [IgM], an antibody, generally appears between 4 and 7 days after the onset of clinical signs. IgM, however, does not pass through the placental barrier. The body starts producing Immunoglobulin G [IgG] around Day 15 and does pass it through the placenta and confer immunity to the fetus. The Health and Social Affair Department mentions in its literature for physicians that such an infection may be “at the origin of miscarriages,” but that they have not seen any increases in cases of birth defects associated with the illness. Fever, in general, can trigger uterine contractions, miscarriages or fetal deaths, the bulletin reminds physicians. When the babies were infected during birth, signs of infection appeared around Day 4, the Perinatal Network’s pamphlet says. More than 90 percent of the infected newborns recovered rapidly without any subsequent problems. These observations were made during the ongoing epidemic that began in March 2005. The information by the Le Réunion and French health authority was gathered from 3,007 births between June 1, 2005, and February 28, 2006. Researchers have noted that there is little cause for panic, but they also urged follow-up studies and interviews to rule out long-term complications, if any. Since the epidemic started in March 2005, 258,000 people have been infected, an estimate by the regional health authority shows. 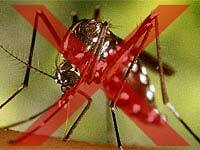 As of May 14, 219 death certificates mentioned chikungunya. There were 1,400 new cases in the second week of May. The French Health Ministry has also recorded 376 laboratory-confirmed cases of imported chikungunya in mainland. The epidemic has spread to the Seychelles, Mauritius, Madagascar, and the Comoros. Four Indian states have reported 150,000 suspected cases in the past three months. An epidemic is feared in Malaysia where 200 cases have been reported just north of Kuala Lumpur. A vaccine is still not publicly available.